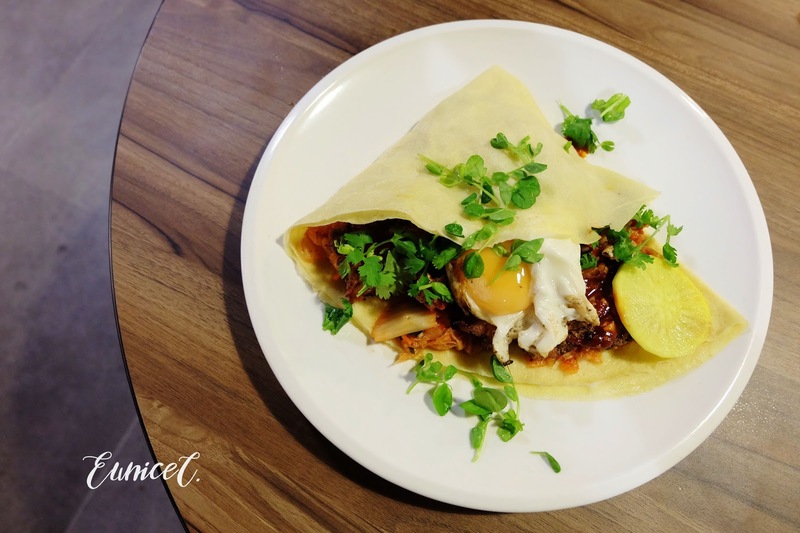 Strangers at 47, Friends at 45 : Of Crepes & Conversation - Eunice C.
Located at Section 17, Petaling Jaya, this café is no stranger to many of us. Its specialty in making the finest, yet affordable crepes in the city has made this place a favourite spot for all crepe lovers! Strangers at 47 creates a range of crepes with a twist. You can now enjoy your crepes in either a sweet or savoury fashion. 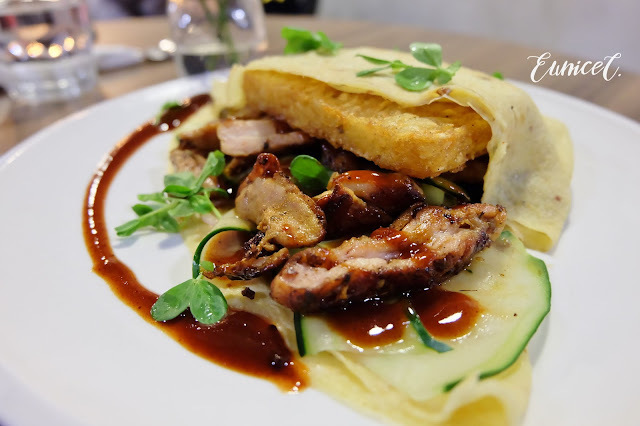 The savoury crepes serve as the main course of the meal, while its sweet version acts as desserts that pamper your tastebuds. There are other main courses as well if you are not up for crepes. I have always wanted to visit Strangers at 47 during my final year of studies in the university, but I was just never able to accommodate it with my hectic schedule. When I was finally able to make time for it, it was closed for renovation. Now that I was back in PJ for my convocation, I could finally spare a moment to check this place out. The beautifully and newly revamped space was brightly lit up with vintage light bulbs hanging from the ceiling. 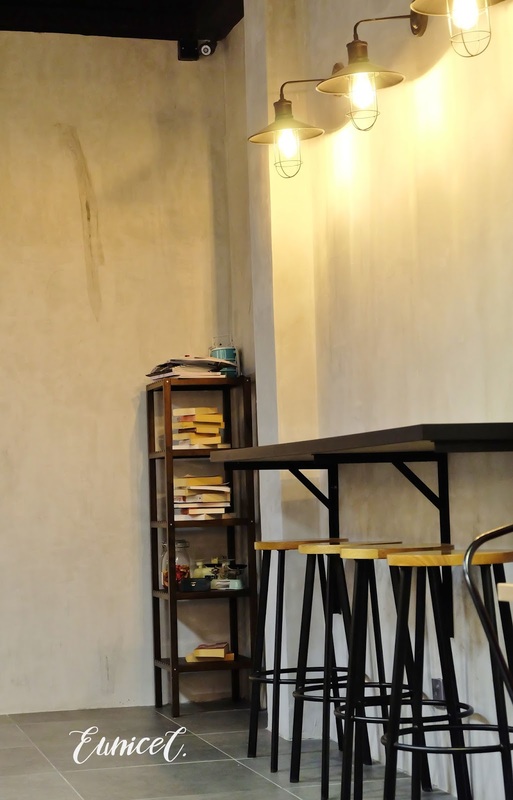 The tables and benches were arranged neatly next to a grey wall, creating a minimalistic look. 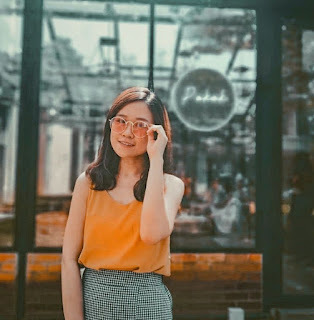 We were greeted by extraordinarily perky waitresses who never failed to put on a wide smile while taking our orders or responding to our requests. As the waitress put the menu down on the table next to a small jar of fresh flowers, I looked at the savoury section. Browsing through all the whimsically named dishes, I could not decide. Eventually, I went for the crowd’s favourite, which is A Hen’s Crush. As usual, Brandon was craving for fried chicken and he settled for Korean Fried Chicken crepe without the slightest hesitation. A Hen’s Crush, RM 18. As described by Strangers at 47, A Hen’s Crush is a chilli flaked crepe that wraps pan seared chicken, sweet capsicums, a golden hash brown, and citrus-cucumber-onion salad sprinkled with a house-made tangy sauce. I took a bite of the chicken wrapped in a layer of crepe with some sauce spread on it. The chicken was succulent and intensely flavoured. The house-made tangy sauce must be a secret recipe. I wonder what kind of magical ingredients were used to make the sauce amazingly delicious. It goes very well with the chicken and intensified the taste even more. The hash brown came in a fair portion and was crispy and tasted authentic. The citrus-cucumber-onion salad was my favourite part about the dish because I love how the onions elevate the taste of the vegetable salad. Overall, this plate of goodness just made my night! 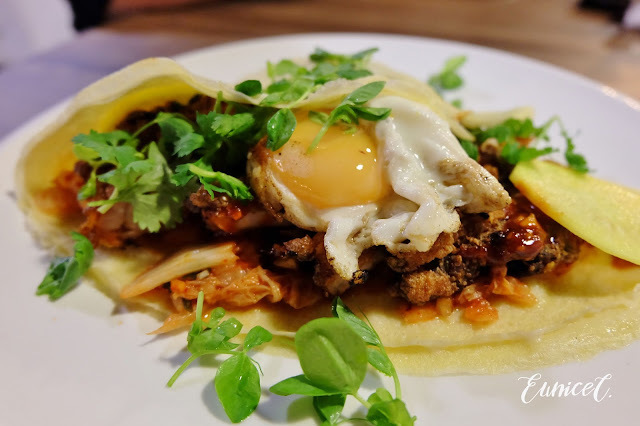 Savoury crepe, crispy Korean fried chicken, homemade kimchi and pickled radish, with a sunny side up. The Korean fried chicken was a little spicy at first bite. The chicken tasted pretty much normal probably because I still prefer Kyochon’s fried chicken. The kimchi was lacking in authenticity as I set the bar too high for kimchi after coming back from Korea. I guess it was not a good idea to order Korean style food in a western café that specializes mainly in crepes. However, it was a great attempt at creating a French Korean fusion dish! This dessert was a new addition to the menu after Strangers at 47 was given a facelift. What’s not to try! 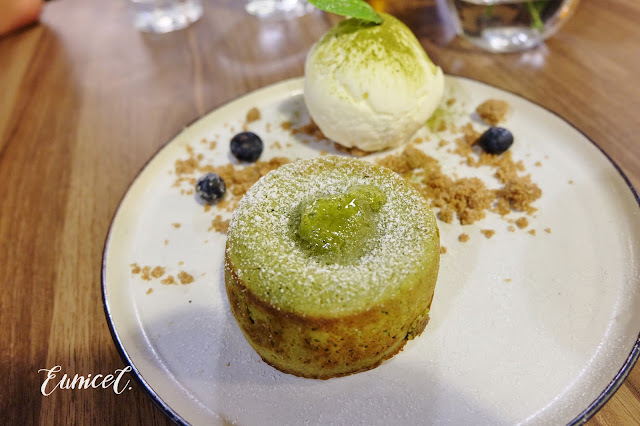 I was curious to how a crepe specialist café can pull off a lava cake with a matcha element to it. 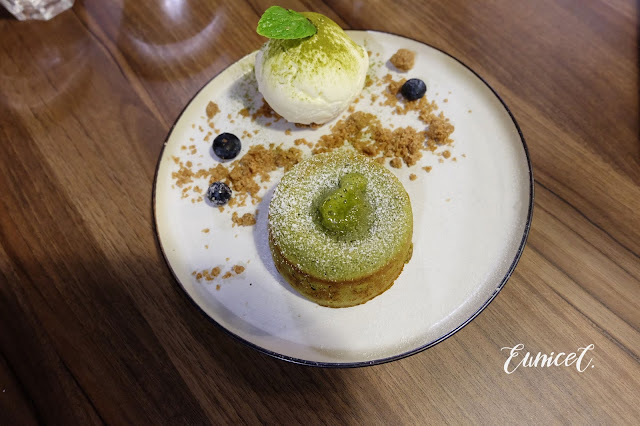 The matcha cake was accompanied with a scoop of vanilla ice cream, finished with sprinkles of cinnamon and blueberries. 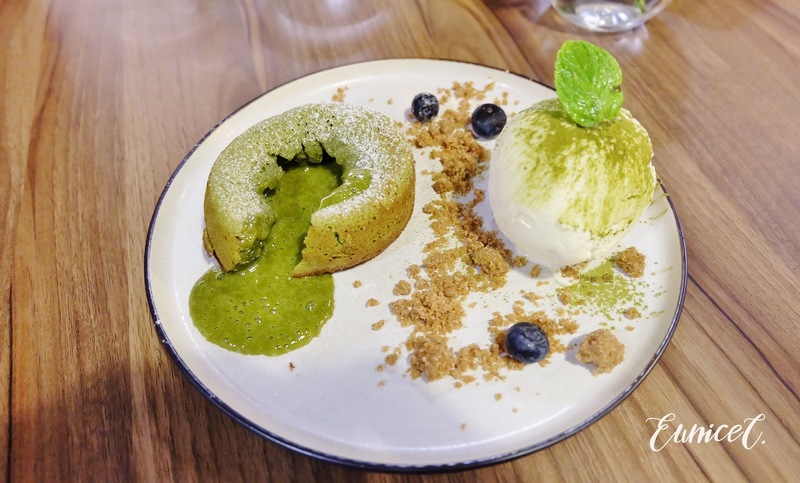 When our dessert arrived, we broke open the outer crust of the lava cake with a spoon, and the rich molten green matcha came oozing out, like a volcano just erupted. The lava cake with its warm and thick matcha sauce was a perfect match with the cold vanilla ice cream. The matcha sauce was rich in consistency and it did not taste too sweet, though I would prefer it to have more of an intense “tea” taste to it, which tends to be a little more bitter. 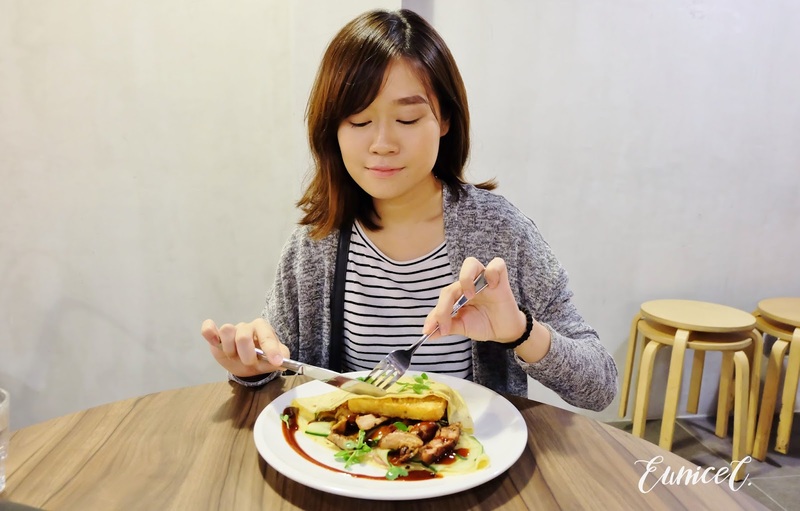 Strangers at 47 is definitely a must-go café for all crepe lovers. 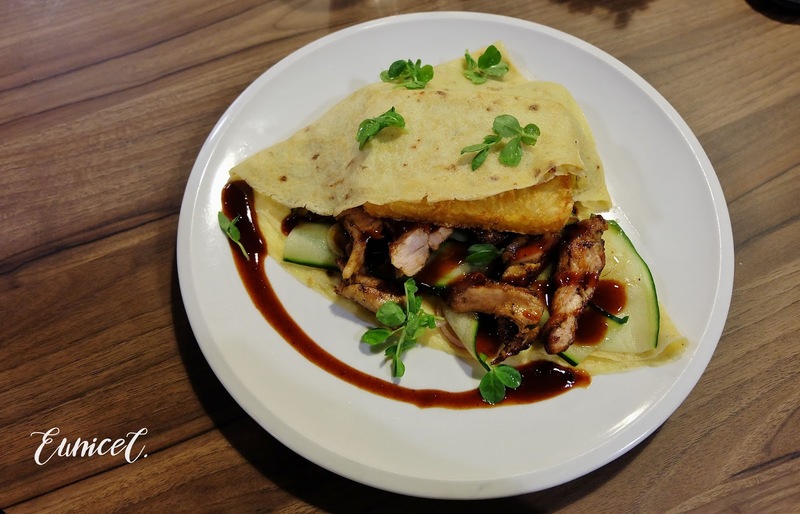 I like how they came up with their creative menu by innovating traditional crepes through a fusion of cultures. It seemed like there was an East meets West theme throughout their menu. 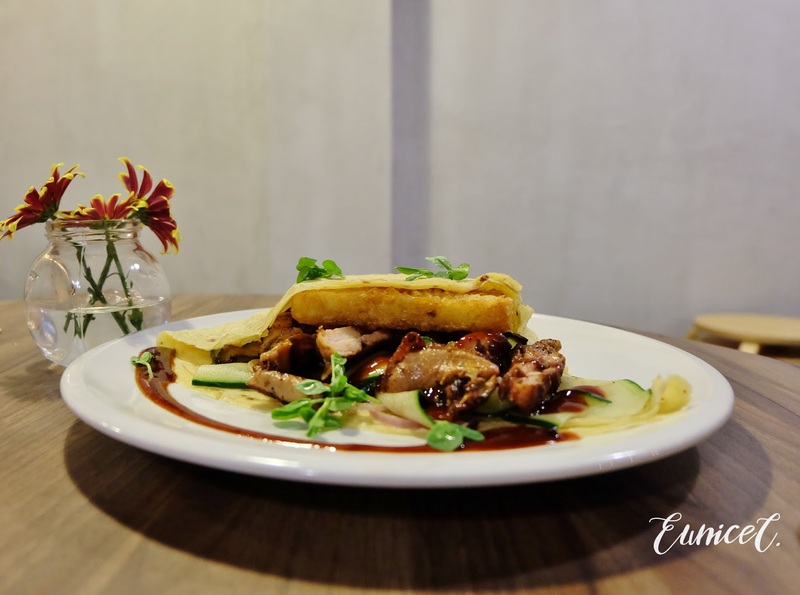 Now, you can enjoy crepes for lunch or dinner! 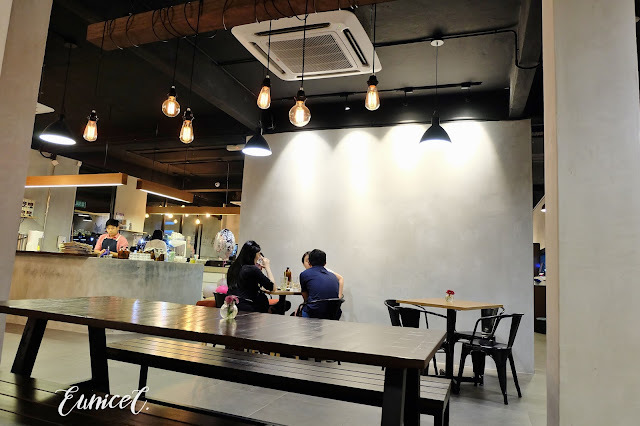 Address: 47, Jalan 17/45, 46400, Petaling Jaya. I really enjoyed reading your review. Totally can understand about you setting the bar too high for kimchi. Once you have tasted the real deal, others will have a difficult time matching it. A great place to dine. I like your video of the matcha sauce oozing out. The Korean Fried Chicken looks so yummy! Although not a Korean fans but I would like to try this. 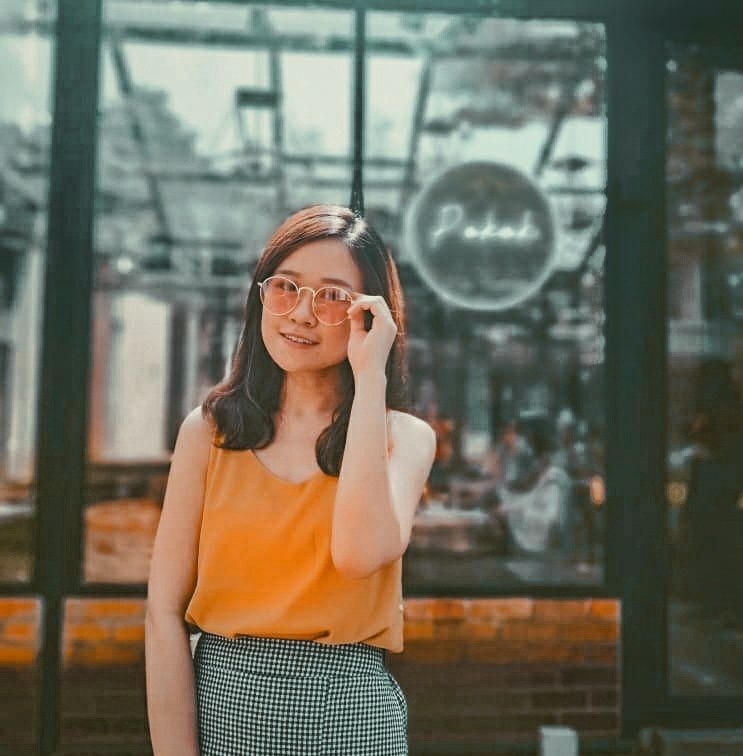 must bring my friend who is a matcha lover to visit. this is so yummylicious! 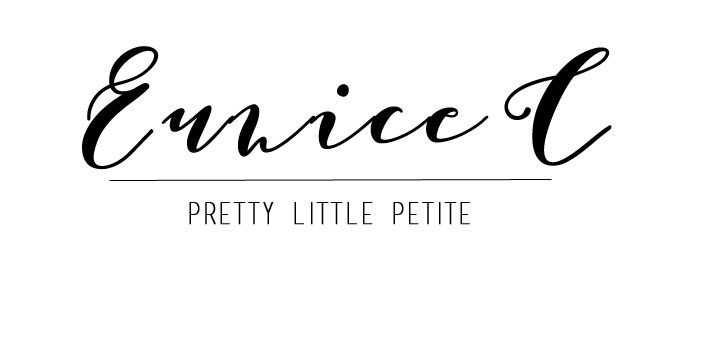 ok i think everything looks good here.. ahh, the sweetness. All those food look really amazing. 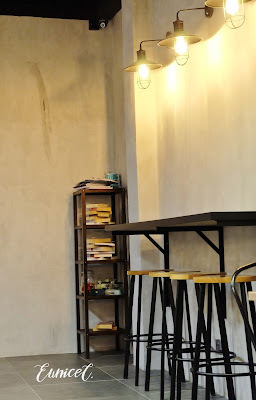 And i look how they decorate their cafe too. The crepe look Nice and indeed a heathy food. Price a bit expensive to me. 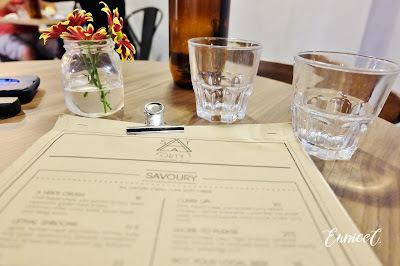 Nice to see all these cute cafes popping up all over the suburban areas. Those matcha lava cakes look yummy! 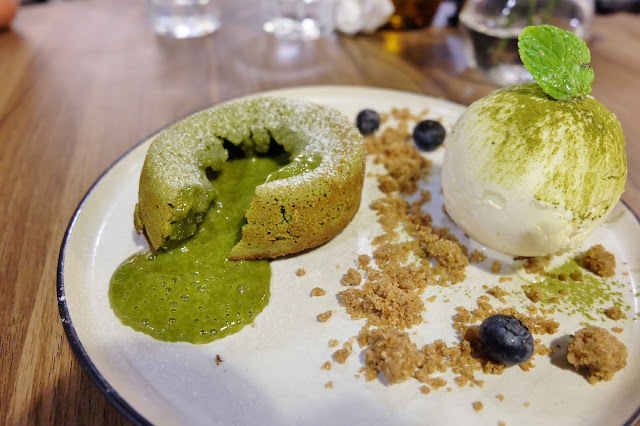 Matcha Lava Cake looks delicious. Will try it out soon.